The new tax law is passed and the effects are pretty well reflected. Here is your summary of the tax law changes that took place in 2018. 2017 is done with and 2018 has just made a remarkable start! It’s the new tax laws that we are talking about. The Republicans are considering the tax changes for 2018 as a milestone in the United States’ history of Economy. Well yes, the changes are huge, and it just can’t be denied! The corporate tax rate has come down to 21%. The plan is to free up more money for the investors and private firms to grow more small businesses, which will thereby make more room for employment. Again standard deductions have been increased for taxpayers in general. Married couples filing taxes jointly will get a standard deduction of $24,000. You see things have changed massively in the area of taxes as the new tax bill was passed and signed by the President Mr. Donald Trump! 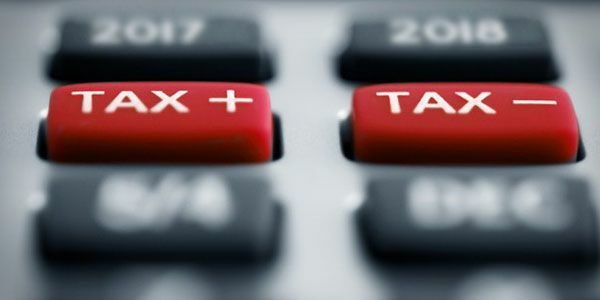 In this post, I will be showing you a detailed analysis of the new tax brackets, standard deductions, other changes like mortgage interest threshold rates and many more, and how these changes will affect the nation in general. As of 2018, the personal exemption has been erased and the taxpayers are expected to use only the standard deductions sheet while doing deductions from their gross income. Luckily the standard deductions are increased and the new tax filing session, which begins this January 29th, 2018, will use the following standard deductions amounts. But for filing taxes due in 2017, we will use the previous tax laws. The IRS has released the method tables for income tax withholding. The number of tax brackets remains the same, but the highest percentage rate has been reduced from 39.6% to 37%. Many might find this to be exciting, but will it do good in the long term? Will the situation become a bit like this where the low income pays more taxes than high income? The amount used in the table is the taxable amount that your employer will use to calculate total tax to be withheld from your paycheck. This taxable amount is calculated after deducting the withhold allowances from your gross pay. If later, while filing your annual tax return, you find out that you have overpaid IRS, then you can ask for a refund! $3,700 $13,225 $0 + 10% of amount over $3,700. For more reference on the withholding table, click here for the notice 1036 published by IRS. Even though it is impossible to completely understand how these changes are going to affect us unless a year or so has passed, I will still try to make some assumptions. As I have already said, the corporate taxes are reduced to a great extent. But does that really mean it will free up some space for employment? Votes were positive among the corporate sectors and business owners. They all supported the massive tax cut of bringing it down to 21%. The CEOs have promised to offer more jobs and hire more workers that will definitely promote the JOBS Act, but there are yet no promises of increasing worker’s wages. The mortgage interest deduction is now applicable for mortgages upto $750,000. This is a decrease from the previous $1 million rate. But this will only be effective after the tax cut happens, i.e from 2018. So, those who will take out mortgage loan this year and after, will have to suffer the new rates if they take out a relatively bigger amount. The medical expenses deduction is also reduced to 7.5% of Adjusted Gross Income. Previously it was 10%, hence this is a little good news for us. The threshold amount for the AMT exemption phase-out is also increased. Individuals including the head of household: $500,000 (the threshold for AMT exemption phase out as of 2018). It’s better to use the standard deductions instead of itemized deductions. The personal exemption is eliminated, but hope standard deductions will make up for it. Hopes for better chances of employment with the corporate tax cut. Overall tax cut might prove to be effective for the middle class in general. Mortgage interest deduction threshold decreased to $750,000. Child tax credit is increased to $2000 from $1000, and refundable credit amount is also increased to $1400. The total deductible amount for SALT (State And Local Taxes) is reduced to $10,000, which will include sales, income, and property taxes. For more information on the new tax law and suggestions or guidance, to file your tax return, it is advised to take professional help. Consult an income tax advocate or take help of other law firms and organizations to save more money or your tax filing. Nota bene: All information stated in this post is purely news based and not meant for practical purposes. You can take help of this information to file your income tax return, but any inconvenience, if caused, is not our concern or responsibility. Page loaded in 1.333 seconds.